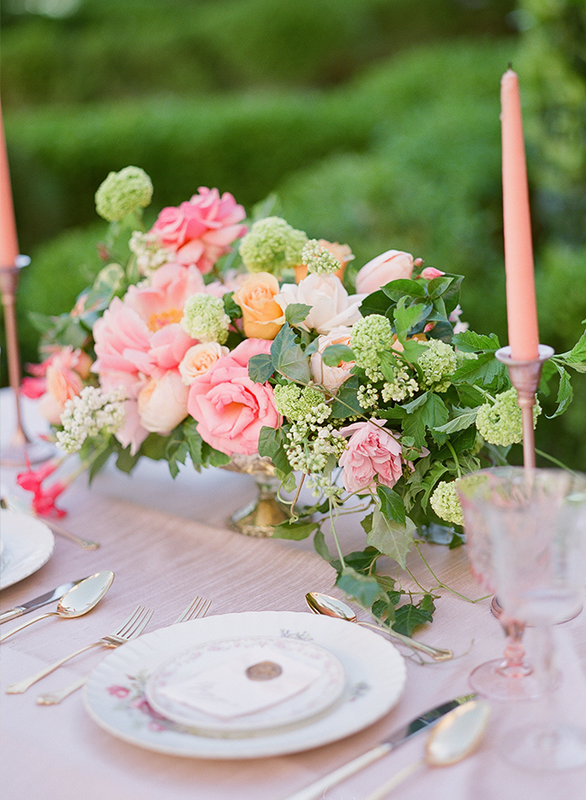 The feminine style of this garden wedding is defined by the blooming pink florals, tulle & lace textures, and lustrous table decor. 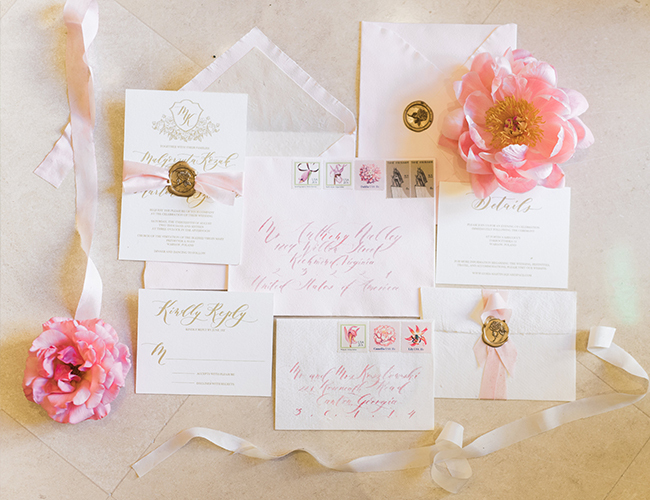 Weddings & Events by Emily came together with talented wedding vendors to achieve the whimsical wonder that is this inspiration shoot! 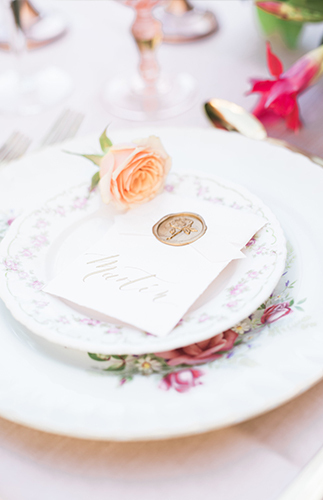 It’s so our style, so we couldn’t be happier to share all the pretty moments with you here on our wedding blog! 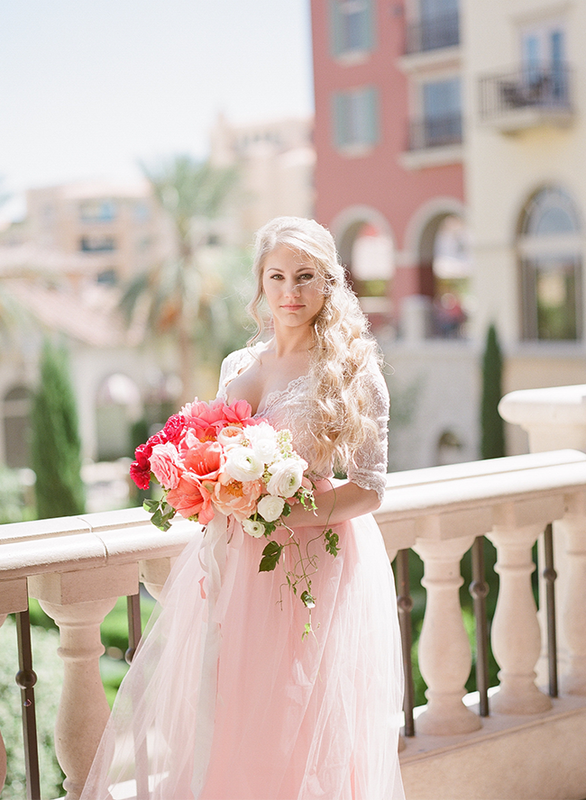 Emily shares, The Florentine Gardens at the Hilton Lake Las Vegas was the perfect setting for this whimsical garden wedding shoot. 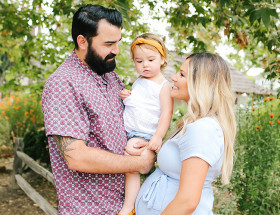 You would never guess that this little piece of paradise filled with abundant greenery is just 2o minutes away from the hustle and bustle of the Las Vegas Strip. 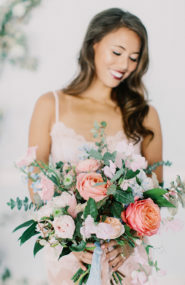 From the custom lace and pink tulle wedding dress, the overflowing ombre bouquet, rose gold candlesticks, and a flower crown that will blow your mind, this wedding shoot has it all! 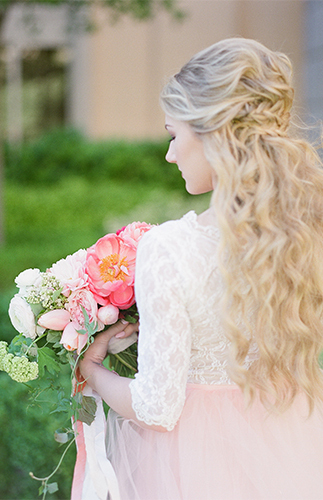 Kristen Joy Photography was behind the camera capturing this fairytale wedding inspiration. The bride’s ethereal look was completed with a bohemian style braid, loose flowing curls, and flawless makeup done by Glammed up 702. 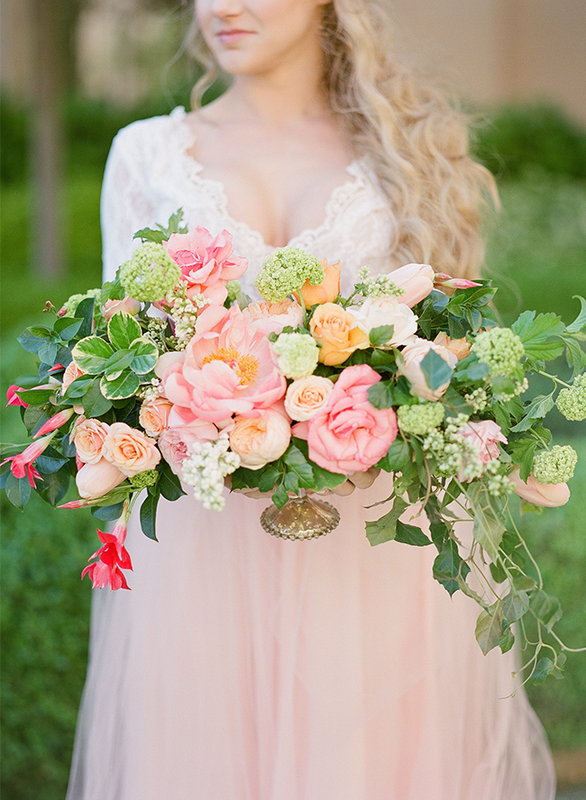 The breathtaking ombre bouquet was filled with cascading layers of lush ivory, peach, pink, and pops of coral. 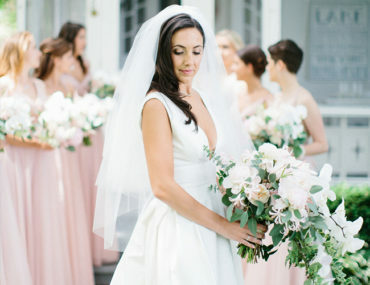 The bride’s custom pink Sophia Rose gown flowed effortlessly as she walked through the peaceful arbor lined pathways. With a deep scalloped lace bodice and blush pink tulle skirt, this dress will make you second guess your traditional gown! 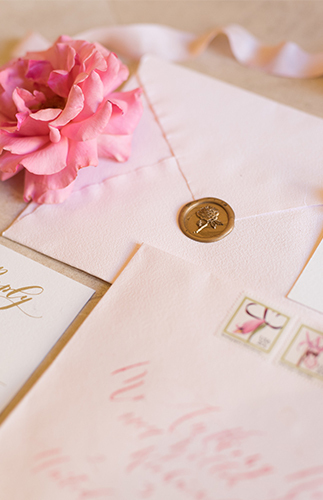 Graceful modern calligraphy, silk ribbon, and a hand made wax seal were all incorporated into the elegant and charming wedding invitation suite from Seniman Calligraphy. 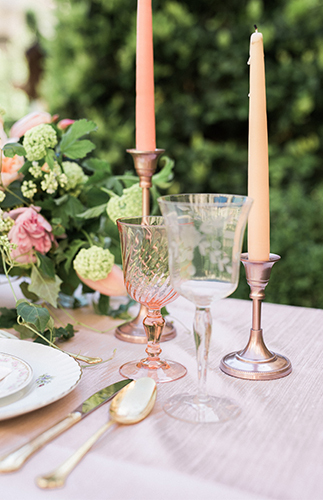 Continuing the romantic and chic feel with the tablescape, we paired gold flatware with antique stemware and delicate china. 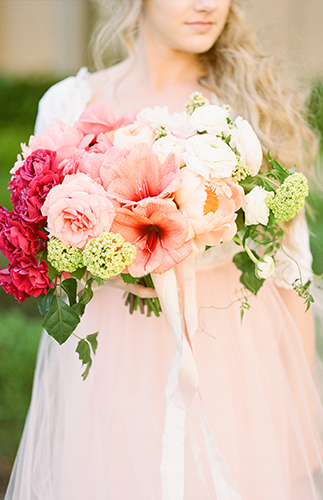 City Blossoms filled the shoot with loose, enchanting flowers that accentuated the nearby gardens. 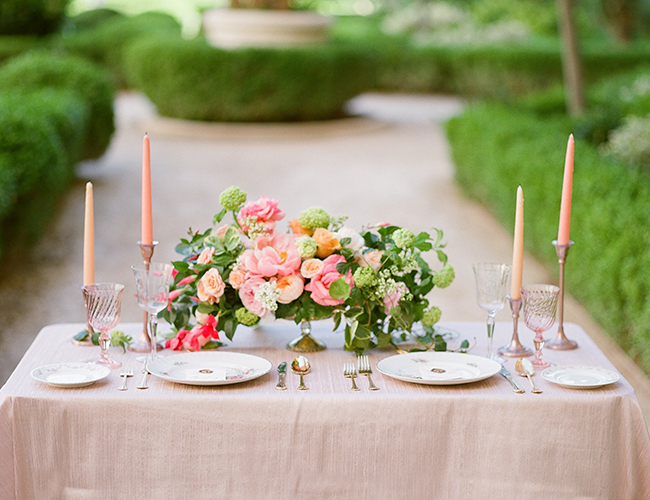 Peach and coral taper candles were placed inside rose gold candlesticks and laid atop a dreamy blush La Tavola linen. The overflowing centerpiece was filled with peonies, garden roses, French tulips, dahlias, ranunculus, viburnum, and lilac. Rick Reichart, owner of cakelava is a true artist. We gave him a color palette and a few ideas to run with and he created this magnificent custom work of art. 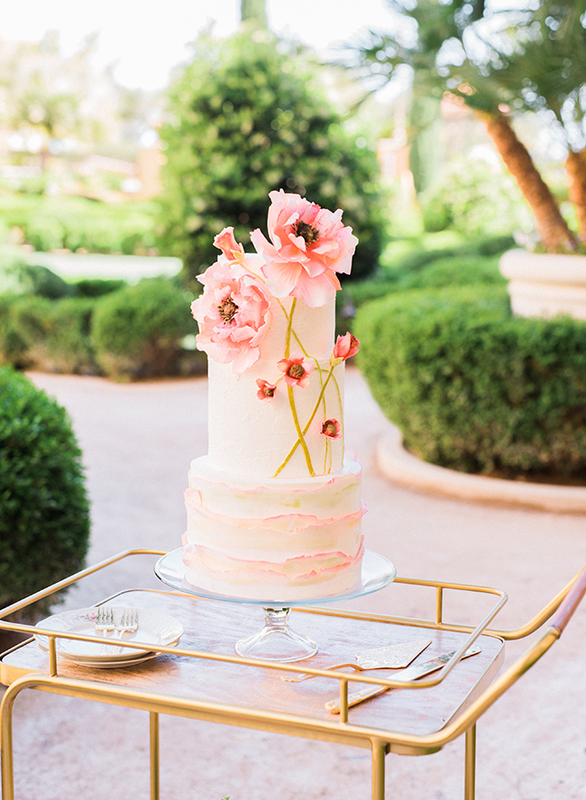 Handmade flowers were placed on delicate watercolor painted layers of fondant. 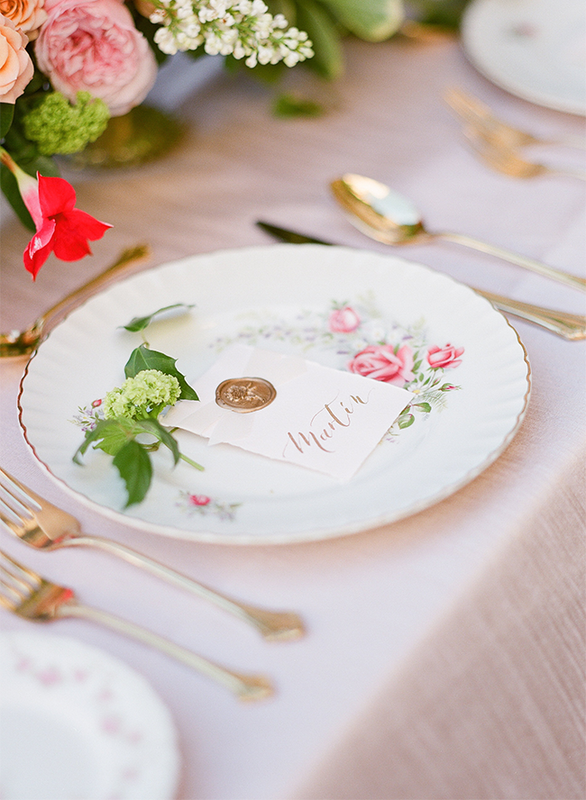 Pink and gold hued floral china plates were stacked on top of a gold bar cart that added a hint of refined glamour. 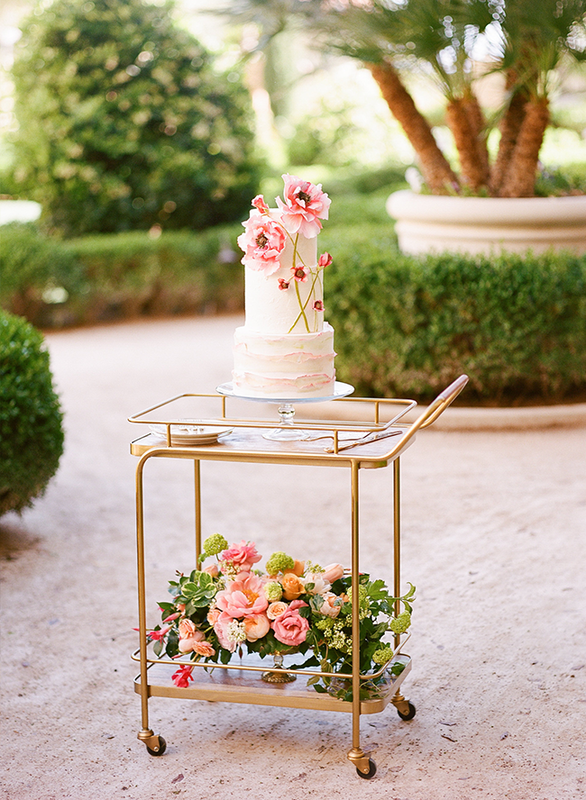 Placing your wedding cake on a bar cart is a fun way to have it displayed! 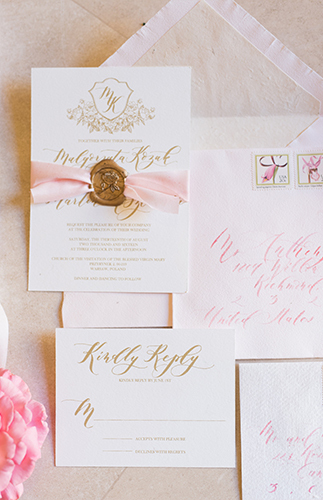 A real life wedding fairytale! This is what my wedding dreams are made of! City Blossoms kills it. 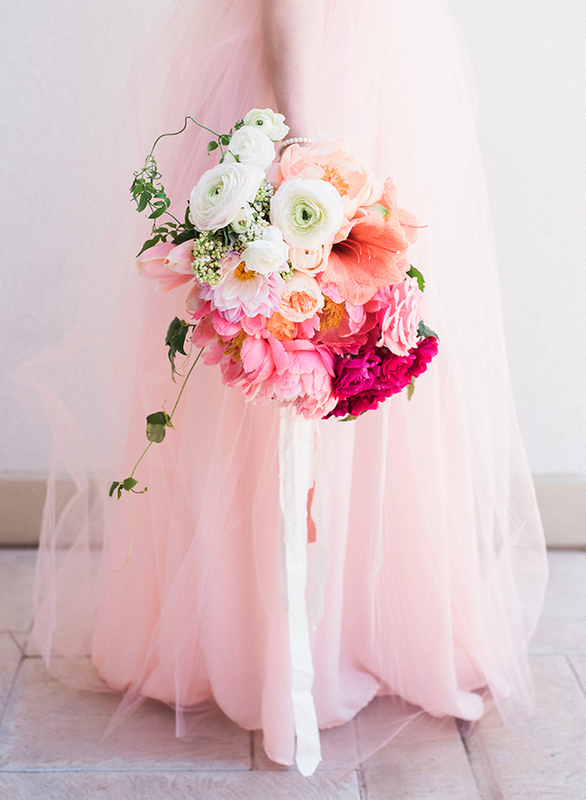 Unreal gorgeous floral design. 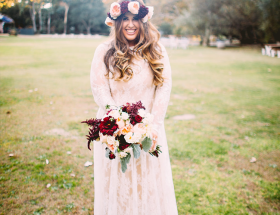 The dress, the flowers… I can’t!